The Bell in Ticehurst is a gorgeous sixteenth century coaching inn set in the beautiful East Sussex countryside. The ambience at The Bell in Ticehurst is distinctly laid back, a little bit quirky and definitely not run of the mill. This fabulous old coaching inn has been lovingly refurbished – the perfect place to celebrate life, love and happiness. Wedding guests will delight in the quirkiness of this historic pub – it is a treasure trove of goodies and basically just very, very cool. The Bell’s design is eclectic in the truest sense of the word, looking as if an eccentric nobleman has travelled the world and stuffed his house full of curiosities from his travels. Old typewriters, ancient novels and safari chairs, 30’s-style suitcase and mismatched chandeliers; the result is quirky and utterly charming – Alice in Wonderland would feel right at home! Each of The Bell’s seven guest rooms, their lodges & Love Nest has its own distinctive name, from “The Benefit of the Doubt” to “Smiles of Memories”. 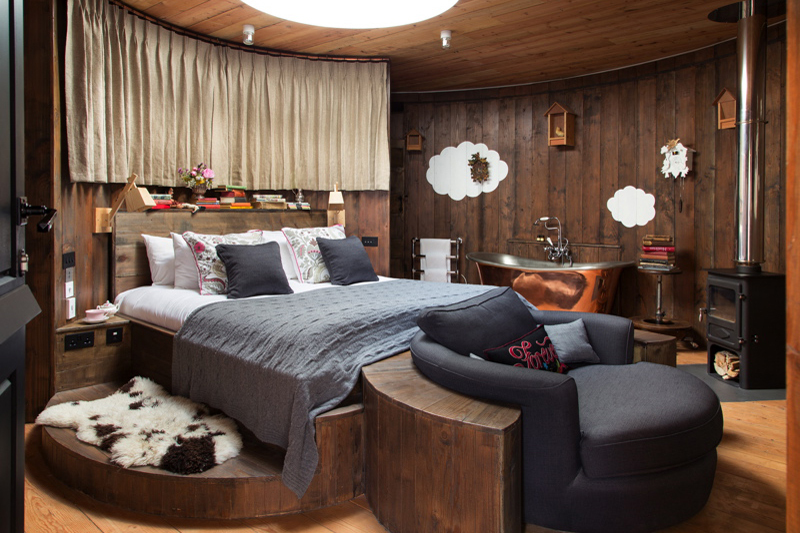 Deep copper baths, sinfully comfortable beds and individually sourced vintage furniture all help to make this special place feel immediately inviting and relaxed. No need to stand on ceremony here – live it, breathe it and do with it what you will. Conde Nast Brides Magazine says “Ultra characterful, with its eclectic and playful interiors”, and you can’t argue with that my friends… Take a look through the gallery, it’s a delight! We kept hearing The Bell mentioned as a wedding venue so threw it into the venue pot mix at the last minute, only to walk round it and know straight away that it was just perfect for us. We loved its quirky style and the intimate feel of it. The fact the whole wedding party could stay on site was a bonus but we also loved having the outside space as well as inside. We have had so many comments from everyone about how much they loved the venue and that the food was stunning - which it was. Tessa was an amazing wedding coordinator and the day just ran so smoothly. I would highly recommend this wedding venue to any prospective bride and groom. We had the perfect wedding at The Bell. Everything leading up to it was carefully covered by the lovely Tessa and the day itself couldn't have gone better for us, helped along by the tireless Chloe and the rest of the events team. It went like clockwork and many, many of our guests have commented on how much the venue contributed to our day. We'll be back time and again. Thanks, all. We got married at The Bell in Ticehurst on 3rd March 2018 in the snow! It was absolutely magical. The Bell is such an amazing and welcoming venue with so much character. The staff were fantastic and the day ran so smoothly, we had nothing to do except enjoy our day. The accommodation is of a very high standard, classy and cosy, and the food was stunning. Our wedding was intimate and memorable, I can’t wait to go back to The Bell for our first anniversary to relive our memories. My husband and I were married at The Bell on December 10th. The Bell was the first wedding venue we looked at and we knew straight away that we wouldn't need to look at any more! I can't really put into words how grateful we are to everyone there - from Tessa who was so quick (and always so friendly) to answer any questions we had throughout planning, to Pip and Hannah for whom nothing was too much on the day itself (including trying to get red wine out of my wedding dress), to the amazing chefs who left our guests feeling very satisfied! So many of our guests have commented on how brilliant the venue was - the whole day had such a cosy and relaxed feel to it, although nothing is quite as cosy as the wonderful Love Nest. The venue is wonderfully quirky with the most amazing little details. A personal highlight for me was being introduced as husband and wife and walking the length of the table to ring the bell! The food was first class and my guests frequently congratulated me on finding such a beautiful venue and on the quality of the food. I cannot recommend the Bell highly enough. It is a wonderful, beautiful, fun venue with staff that will make your day absolutely unforgettable. We will never forget what the Bell and all the staff did for us on our special day and The Bell will always have a special place in our hearts! We can't speak highly enough of how great our wedding was. Tessa, our contact in the run-up, is an efficient, lovely, friendly and caring girl - an absolute star. Chloe, who ran the show on the day, kept it moving along perfectly and was brilliant in ensuring the day was smooth and hitch-free (apart from the getting-hitched bit!). Matt and the rest of the team grafted away tirelessly and were brilliant both on the day and with the gentle service at breakfast the next morning! Jorge and Oscar, the Colombian gents at front of house and in the kitchen - awesome food guys, thanks so much. And the rooms are stunning, unique and lovely. Thank you so much, we'll never forget you! Dearest Tessa, Pip, Zoe & Team, Our Wedding day was perfect and it was purely due to your love, care and amazing service. Thank you for dealing with our demands, harsh words when stressed but most of all, the care you took with us and all our guests. Five stars does not seem nearly enough for this wonderful venue and dedicated staff team. Getting married at The Bell was a magical experience. The Bell itself is unusual, exciting, historical, quirky, romantic, dramatic, cosy and comfortable. The Wedding Co-Ordinator and the team were meticulous about every detail to ensure that we were able to enjoy our special day. Nothing was too much trouble and the service was second to none. We stayed in the Love Nest on our wedding night and enjoyed a wonderful cosy breakfast in the morning. 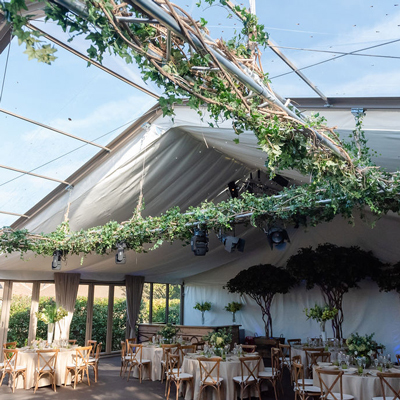 Our guests were so impressed with the venue, service and food; we were grateful that our guests were able to enjoy the day almost as much as we did!